BRITNEY IN MANILA! - I Blog, Therefore I Am. Britney outfitted herself with onesies in interesting variations all throughout the night. My favorite part of the show was the last Act where she sang Toxic and Stronger / (You Drive Me) Crazy. It was a very fitting end for possibly the best concert of the year so far. Another amazing thing about this Britney concert is the "after party" at the Mall of Asia Arena. Fans sang their hearts out for a good 30 minutes after the concert in front of the Smart Music Live booth. They belted in Britney's songs like "Sometimes" and "Lucky" which were unfortunately not on her concert playlist. It was such a good effort that even Britney noticed and shared on Twitter. Credits to Flow Galindez who originally posted the above video. Thanks to my awesome team for tirelessly working this first half of the year. Special shout-out to Chrissy! This is one heck of a swan song. You'll be sorely missed! It's turning out to be a good concert year for the Philippines (despite the ongoing Marawi siege & Martial Law). There will be an In The Mix concert this year top-billed by 5 Seconds of Summer, Ariana Grande will be back with her Dangerous Tour in August, Justin Bieber will be at the Philippine Arena on September 30, and Ed Sheeran's Divide World Tour will come to town in November. 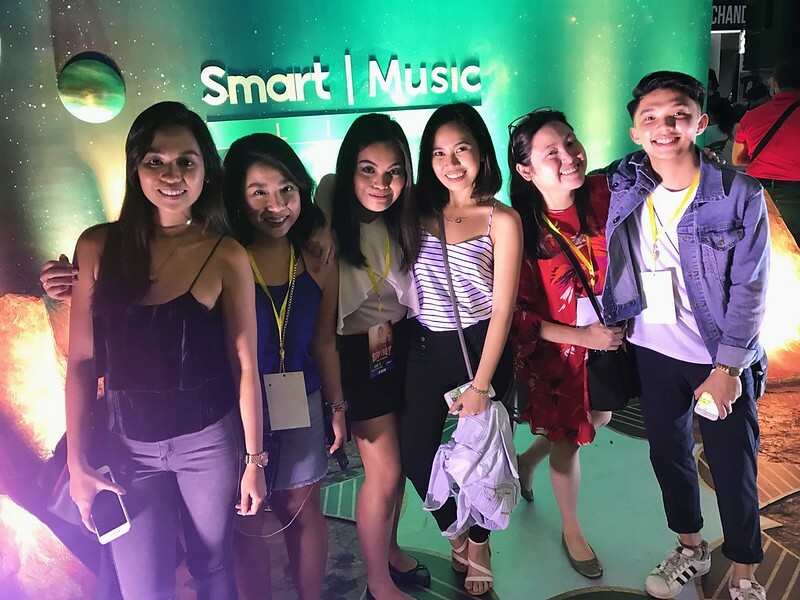 All of these will be presented by Smart (of course) through #SmartMusicLive. I am not too excited for Biebs, but I just have to watch Ariana Grande and Ed Sheeran! I became a fan of Ari after watching her in 2015.